After working in plenty of films and bagging a National award, Dhanush has donned the director's cap with ' Power Paandi' starring Raj Kiran in the lead. In a recent interview, actor Raj Kiran was all praise for Dhanush, the actor turned director and his immense work that he has put in to shape up the movie. "When they narrated the script, I agreed to play the role but I hardly expected Dhanush to direct it. I had no idea he was the director," Raj Kiran chuckled. "Nearly 27 years ago, his father Kasthuri Raja directed and gave me a big break in my film career with his rural scripts. Now, I am back with Dhanush his son and proud to work under his direction. The script was impressive as it explores life after 50 and the emotions of an elderly man shunned by the society," he adds. Raj Kiran also praised Dhanush for his dedication to the profession and how he worked hard to make sure the film turned out good. Power Paandi reached the masses with its trailer and a riveting cameo by Dhanush with Madonna Sebastian in the flashback. 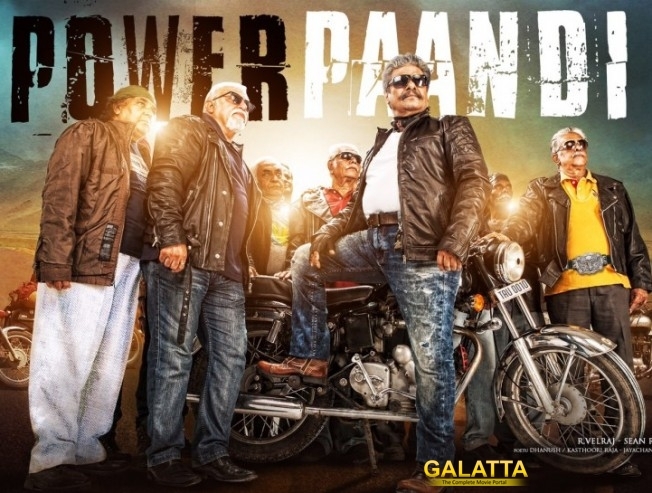 The film has been renamed as Pa. Pandi to get censor certificate with tax exemption. The film is scheduled to get released on April 14th.